Mini bus rental that is designed to accommodate the modern requirements of our valuable clients that are traveling in groups throughout the greater Los Angeles area. 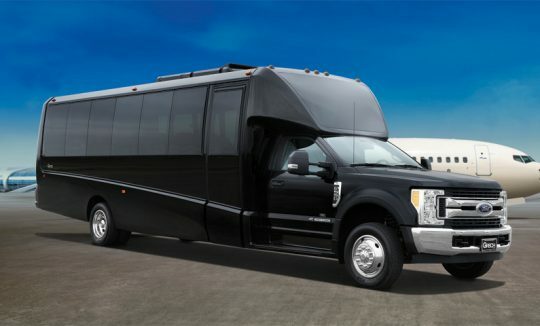 B&W Limo offers mini bus rental that is designed to accommodate the modern requirements of our valuable clients that are traveling in groups throughout the greater Los Angeles area. 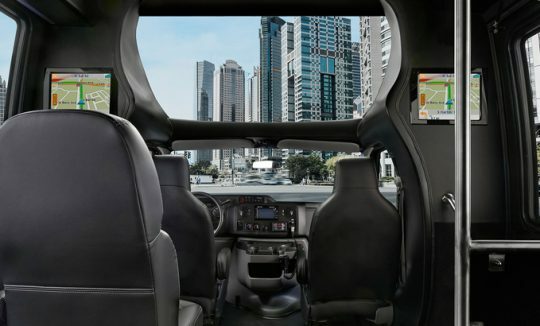 Our mini bus rental include CD players, a deluxe surround sound stereo system, high back reclining seats, overhead store racks, extra leg room, USB outlets, cup holders, Wi-Fi and more! Our goal is to provide our group travel clients with a professional service in our minibus rental, that exceeds their expectations all while making their way through our infamous Los Angeles traffic! Whether you are planning a corporate party, birthday, family celebration, wedding, long-distance charter or just a night out with friends, our minibus rental is waiting for you! Our team of highly skilled, courteous and professional drivers provide high quality customer service that puts our passengers at ease while traveling in one of our minibus rentals. Our team of professional chauffeurs specialize in all types of group transfers, throughout the greater Los Angeles area, including airport (private and commercial airlines), corporate functions, concerts and sporting events, as well as weddings and any other special occasions you can think of that require large groups of people traveling together! And with our new luxury mini bus rental, you and you group will arrive in high style and comfort to make things extra special. Our vehicles are always immaculate, but our focus is safety! We have made safety while operating our mini bus rental our number 1 priority! And our booking system is managed by the latest technology to provide a reliable and punctual service that our clients have come to depend on. Whether you’re traveling for business or pleasure, early morning or late at night, we take care of every detail to ensure an efficient and relaxed experience. Arriving in style and comfort, with our fleet of new luxury mini buses and professional drivers, will make your travel experience extra special. B&W Limo is helping thousands of customers, every year, travel to their chosen destination in comfort, and safety and on time.